Cats are no strangers to shop life – they've lived in bookstores and libraries for ages, and have made a living for thousands of years by doing what they do best: Lounging in the background, snoozing on bookshelves and catching rodents. But the explosion of cat popularity on the internet has placed new pressure on felines: Grumpy Cat attends music events,Lil' Bub has been spotted at movie festivals and now, the sudden, global expansion of the cat cafe. The first cat café opened in Taiwan almost 20 years ago and the idea quickly spread to Japan and Europe, where people typically pay an entry fee to spend some time petting or playing with resident cats. 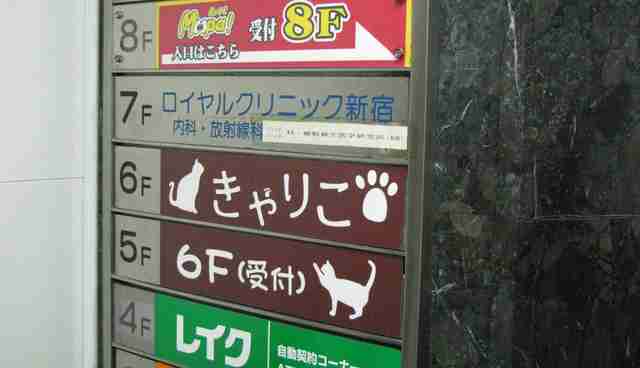 These cafes offer quality cat-time to people who cannot have cats in their own apartments, and are also a popular tourist attraction. A cat café recently opened in London, and they are finally planned for the United States, with cafes in the works in Los Angeles, San Francisco, Oakland and Boston. Cafes in the United States are different in that they all promise to become adoption centers, as well as a place to go and visit cats while sipping a latte. U.S. health codes will also place restrictions on the design of these coffeehouses, so that food and beverages, and their preparation, will not co-mingle with the cats. I must admit, as a cat expert, I have concerns. People are so excited about the thought of cats in cafes that I feel like a bit of a curmudgeon to even question it. And in the name of full disclosure, my own cat consulting business has been asked to advise a local cat café that is in the works. I hope we can help them do the right thing. But I have so many questions: Will these cafes benefit the cats and advance our understanding of cat behavior and welfare? Or are we exploiting cats to sell coffee and our own ideas of what we think cats will like? The overriding problem: Cat cafes, generally, must confine several cats to one space. While domestic cats have some flexibility in their ability to live successfully with other cats, this often depends on familiarity. Feral colonies are generally stable situations with related or familiar cats; strangers are often not tolerated and chased out by colony cats. Many cats are not well suited to living with many other cats, and to make it work, new cats should be introduced very slowly, something that may prove difficult in a cat café. 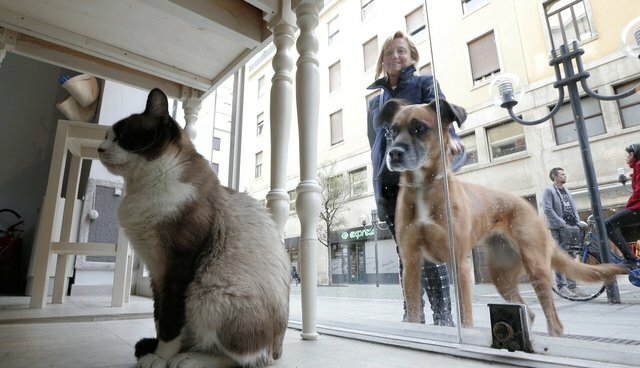 But even if cafes do everything right, there are inevitable problems with keeping cats in large groups: aggression, urine spraying, and bullying are allissues thatincrease with the number of cats in a space. If cats are adopted and new cats constantly come in, it could impact the stability of the relationships of the cats left behind. Group housing and a changing population will always bring the risk of disease. Stress and illness are closely linked in cats, and one study showed that changes in daily routine and even caretakers were enough to trigger sickness (such as vomiting and avoiding the litter box) in otherwise healthy cats. The Cats' Protection Agency, which opposed to the London Cat Café, argues that "recent research (by John Bradshaw)... counters the opinion that cats living in groups do not suffer social stress." I asked for their opinion on the adoption center model, and a spokesperson replied that, "Hosting a ‘rotating' population of rescue cats in the café environment would create stress and...compromise feline welfare...rescue cats need as low risk an environment as possible to reduce the possibility of stress-related and infectious diseases." The cat café lifestyle can cause other logistical nightmares besides ringworm and kitty viruses. How will safety for cats be addressed? Many shelters have experienced some level of theft (especially of kittens), and on the cats' end, some felines are clever enough to open doors. Others wait to dash out when a door opens, if for no other reason than just to see what is on the other side. What about cats who need a special diet, or need to lose weight, in a group setting with shared food? Then there's the one issue humans will go out of their way to avoid: the litter box. I've seen litter boxes hidden in garages, patios, under tables or even in closets in a desperate attempt to hide evidence that cats go to the bathroom. While shelters often have multiple litter boxes for their group housed cats, they also tend to place all the litter boxes in an adjacent small room with a tiny cat door as an entryway. Unfortunately, this creates, in the cats' minds, one litter "station" (kind of like a public bathroom with many stalls) which does not give cats much choice about where to go. And that one door makes it possible for cats who bully (and there are plenty of them) to block other cats' access to the boxes - which leads to all the unfortunate scenarios you can probably imagine. Cat cafes need to plan for a central space with plenty of room, and entrances. When it comes to interacting with humans, Most cats also have limits to how much handling they will tolerate or where they like to be petted (overstimulation). No dis intended to cat lovers, but I've observed a lot of people petting cats in my professional life, and to be frank: Many people don't know how to pet a cat. Feline body language can be subtle, but a belly up is not always an invitation for a belly rub and a wagging tail does not usually mean happiness. When people come into an establishment like this (be it a café or shelter) they usually want to do one thing: pet the cats. And that may not be what the cats want. So should we just give up on this idea? Cats Protection Agency believes so: "...We believe that people who care about the wellbeing of cats would not want them to be exploited as a gimmick to sell coffee and would therefore not wish to encourage the launch of these establishments." I'm going to reserve judgment right now and hope that with careful planning and understanding, cat cafes will work. That's because the promise of a well-done cat cafe is a wonderful thing. If done properly, they can promote adoption, give cats a break from shelter cages, and give people who can't adopt the opportunity to get a cat fix. Interactions with animals are often good for humans, and at least in the case of petting dogs (no one has studied the effects of petting cats yet), can reduce blood pressure and increases oxytocin levels (the "love hormone"). 1.Cats should not be expected to "perform"
Cat cafes should be promoted as low-key, almost library-like environs to relax and be around cats. Cats prefer to call the shots when it comes to interactions with people. Cats need the ability to get away from human interaction if they want to, even if that means disappointing customers or limiting the number of human visitors at any one time. Jacqueline Munera, a certified cat behavior consultant at Positive Cattitudes in Florida, had the opportunity to visit cat cafes in Japan. She noted that the cats "were able to choose to interact with the humans, other cats or hang out in private areas on shelves and walkways up above the action." What is most important in her opinion is "that the cats are allowed to make their own choices." Anita Loughran, from the Cat Cafe Melbourne agrees, and says that in her establishment, "If a cat is not in the mood for attention from people and other cats there will be many areas in which it can be by itself including high shelves along the walls, tunnels and boxes to hide, and a separate room closed off to customers accessible only by staff or cat flaps." At the Melbourne café, cats will be selected with a local rescue group and "will need to have the right personality, previously been indoor only cats, get along with other cats, and get along with people and children. 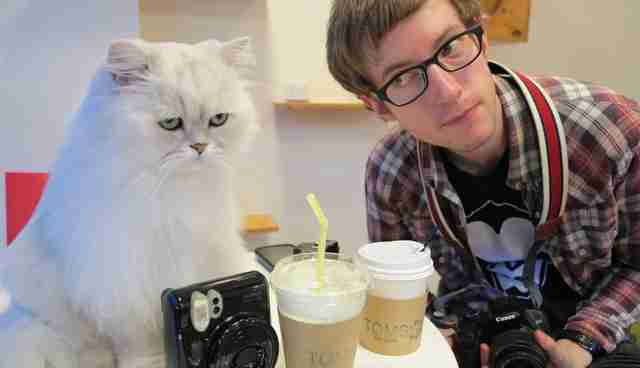 This will ensure we have a group of cats that will adapt well to a cafe surrounding." Unfortunately, this may not help "less adoptable" cats, as the type of cats that will do well in a café environment are those who also tend to be easily adopted out of shelters – the friendly, young, outgoing ones who adapt well to noise and activity. Still, choosing the right cats will improve the chances of success. Some cats don't do well in active environments, or around other cats. Designing cafes with a few housing options (cages, single-cat rooms and group housing rooms) could allow for flexibility to meet an individual cats' needs. And there needs to be a backup plan for cats that cannot cope with living in cafes, be it a foster home or other, less demanding adoption facility. 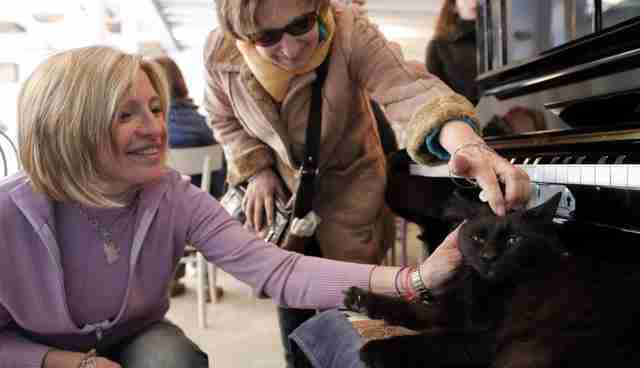 Furbacher's plan: "If we find any of the cats aren't happy at the cafe, they will be rehomed to another foster home." Michelle Furbacher from the Vancouver Catfe states that, "We'll be monitoring the cats' behaviour closely to make sure they are healthy and happy." That's important, because a cat's instinct is to hide signs of illness and stress. Cats' weights should be monitored daily when they are living in groups, as a few days of not eating can be deadly to cats, causing fatty liver disease. The cats' behaviors need to be monitored too; for both overt and subtle signs of stress, such as lack of sleeping, acting withdrawn or aggressive, overgrooming, hunched or tense body postures, and even non-stop purring, which in some cats is a response to pain or stress. Classes on cat behavior, training and health could enhance welfare for all cats, not just the cats in the café. Rescue groups could have featured video or photos of other homeless cats to advertise those who might be in shelters or foster homes, but aren't "café suited." Loughran hopes the Melbourne café will "educate more people on how to correctly own a cat...by keeping them indoors with plenty of stimulation and attention...(we) will be raising awareness of the benefits of getting a cat from rescue shelters, including the fact that they have already been neutered, wormed, microchipped and vaccinated." Furbacher adds that her goals are "to get adoptable cats more exposure to the public, so that people can get to know them, and maybe decide they want to make them part of their family." Dump the feel-good shelter program and simply focus on forging a group of cats that get along with each other and like the cafe lifestyle. That's Loughran's plan in Melbourne: "It would be difficult to find so many suitable cats as they need to have the correct personality to suit living in a cat cafe." Less upheaval in a group will make it easier to monitor how the cats get along, and means less change for the cats too. While it might mean saving less cats, it could mean reducing stress on the ones on display. Potential cat cafe owners should visit animal shelters and off-site adoption centers, be sure to adopt shelter medicine protocols, and consult with available experts. Furbacher consulted with a local veterinarian who provided "a lot of helpful ideas on how to construct a space that feels safe and offers a lot of territorial options for colony living." She also cited the Indoor Pet Initiative as "a great resource for fulfilling indoor cats' needs and making multiple cats feel safe and comfortable in the same living space." The good news is that the cat cafes in the works seem to be doing their homework, but I'm left wondering how these plans will translate once the cafes are up and running. But if one thing's for sure, during this apex of internet cat obsession, the whole world will be watching, including some of us super-critical cat lovers.